Hi Canaries! I'm back with another layout share using the April "Mayfair" Scrapbook Kit. 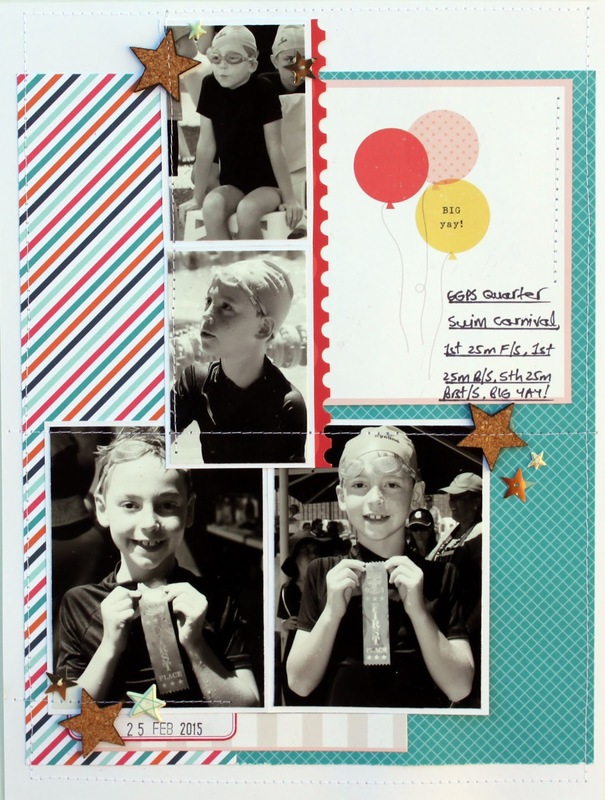 It's an 8.5"x11" page featuring four photos. With so many photos, it is important to keep the design simple, so I simply used patterned paper, a piece from the cut-apart sheet as my title and three clusters of small star embellishments. 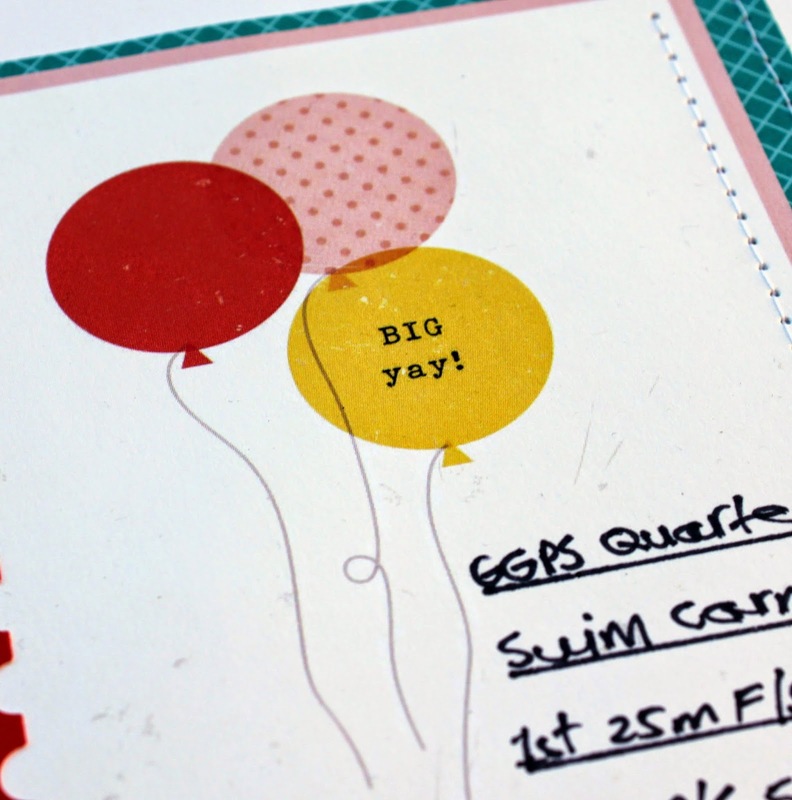 I also used a label from the free printable sheet that Manda designed for our newsletter subscribers. I love to use text from these cards for titles and this, although probably designed for a party theme, was perfect for my page. 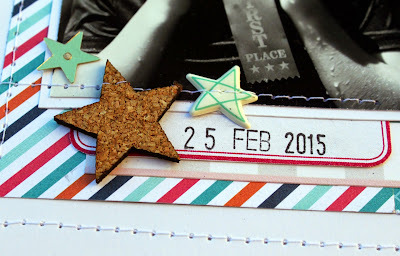 I used the cork stars and puffy stickers from the kit and added star sequins from my stash. 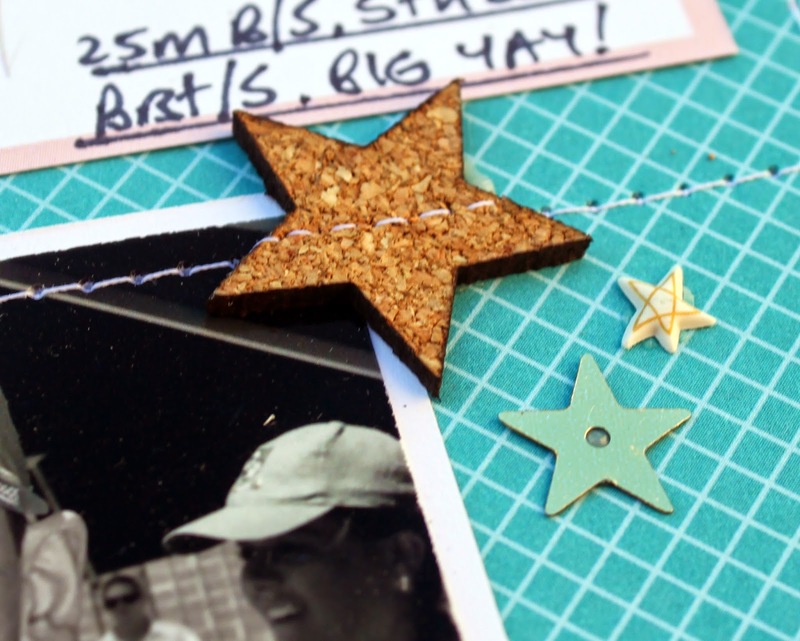 And of course I couldn't resist adding stitching for subtle texture and to hold everything securely. 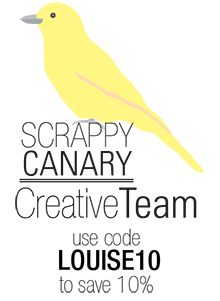 Don't forget to use the code LOUISE10 when you shop at Scrappy Canary for 10% off your purchase total.